PT Rajawali Nusantara Indonesia (Persero) – RNI or referred to as “RNI Group” is a rapid growing state-owned investment holding company in Indonesia. RNI Group has main business competencies in 4 business pillars; agro-industry, pharmaceutical and medical devices, trading and distribution, and property. 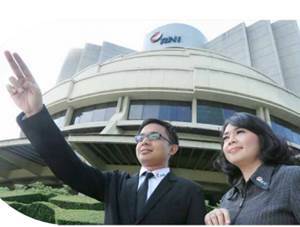 RNI Group is a Company whose shares are not traded on the Indonesia Stock Exchange (IDX). The Government of Indonesia holds 100% shares of the Company. RNI Group is domiciled in Jakarta and its head office is registered at Gedung RNI, Jl Denpasar Raya Kav D III, Kuningan Jakarta 12950. As of December 2015, RNI Group runs its business through 12 subsidiaries; PT PG Rajawali I, PT PG Rajawali II, PT PG Candi Baru, PTP Mitra Ogan, PT Laras Astra Kartika, PT Mitra Kerinci, PT Madubaru, PT Pharpros Tbk, PT Mitra Rajawali Banjaran, PT Rajawali Nusindo, PT Rajawali Citramass, PT Rajawali Tanjungsari Enjiniring, and PT GIEB Indonesia. In 2016, RNI Group succeeded in posting overall improvement in its performance. According to information found in PT Rajawali Nusantara Indonesia (Persero) Annual Report 2016 as cited by JobsCDC.com, RNI Group registered total a net profit of Rp247.25 billion in 2016. This number is exceeded the previous year achievement of only at Rp69 billion. Maximum age of 40 years old (2, 3) and 45 years old (1). Minimum Bachelor Degree (S1) in any field (1, 2) and Law (3). Required managerial experience for minimum 5 years (2, 3) and 10 years (1). Strong sense of analytical thinking and have experience in designing business plan and property marketing (1, 2). The candidates with prior experience in the field of notary is preferred (3). Expertise in the field of Asset Management (1, 2, 3).